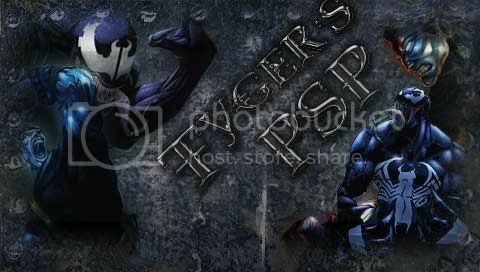 I made this background cuz my favorite marvel characters venom and colossus, it's personalized for my psp but I will gladly put your name on it so if you want it with your name just PM. i check this forum nearly every day so yea. If want one made by me just PM an give me your request.